Freedom School Information for Parents – Welcome Table, Inc.
What is the CDF Freedom Schools® Program? 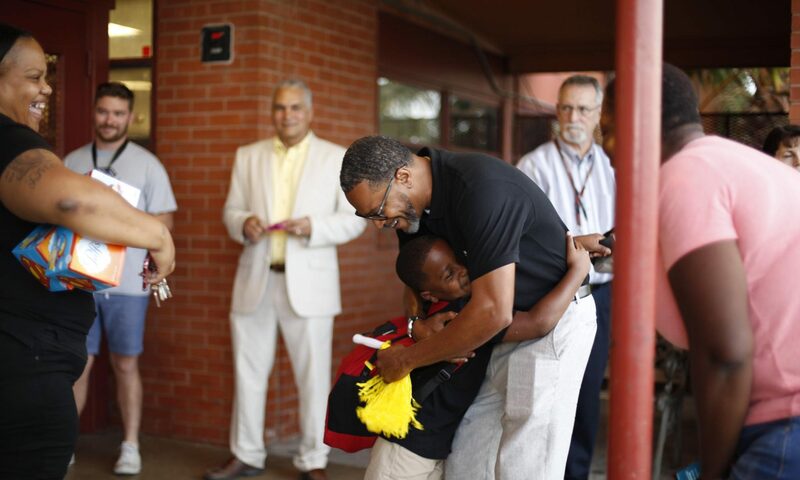 In partnership with Welcome Table Inc., the CDF Freedom Schools® program works hard to ensure each scholar is equipped with the necessary skills to succeed in life. Our program boosts scholars’ motivation to read, and generates a more positive attitude towards learning Science, Technology, Engineering, the Arts, and Math. It also connects the needs of scholars and families to the resources of their communities. From June 16th– July 25th, scholars enter the program site at Oak Spring Elementary located at 3601 Webberville Rd, Austin, TX 78702 at 8:00am. They are greeted and served a nutritious breakfast by caring adults. With stomachs full, they move on to Harambee!, a time of informal sharing when scholars, community leaders and staff come together to celebrate themselves and each other. In the classroom, where servant leader interns (college students or recent graduates) facilitate classes of no more than ten scholars, the children are engaged in reading and theme-based, hands-on activities as outlined in the Integrated Reading Curriculum. 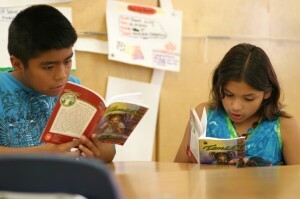 Reading is a cornerstone of the program. Servant leader interns lead the scholars in reading excellent books throughout the summer. These books feature heroes, heroines, and settings that reflect the scholars’ cultural images and history. Classroom activities related to the day’s reading use one or more of a variety of teaching models, including cooperative learning, role playing, and group discussions, and include read aloud, paired reading, Drop Everything And Read (D.E.A.R. )Time, creative writing, or visual arts. The range of activities ensures that scholars with diverse experiences, talents, and levels of confidence in reading and verbal expression are actively engaged. At lunchtime the feeling of family and community spirit continues as the scholars join adults to eat a nutritious meal. After lunch, scholars participate in the other cornerstone of the program, STEAM (Science, Technology, Engineering, Arts, and Math) activities. These are well-planned integrated activities that are related to the theme “I Can Make a Difference in Myself, My Family, My Community, My Country and My World with Hope, Action and Education. Field trips are planned that expand scholars’ horizons for each Friday. The scholars may also engage in social action projects and rehearse for the summer finale that is performed for parents, friends, and community leaders. The day ends at 4:00pm for our scholars. For more information on the National Program, visit Children’s Defense Fund. Haga ‘click’ aquí para descargar la aplicación en Español . Once complete, please send completed application and recent copy of your scholar’s report card to Freedom School Austin.